Saved by the 90's will be headlining for 2019! This is your chance to visit many of the best local food and drink vendors in one location. Area restaurants and distilleries will be serving grub and shine all evening. All proceeds will be benefiting Sevierville Commons Association. Tickets are $30, and include admission, food, drink, and live entertainment from 4-8pm. Under 21 or not into cocktails? No problem - only $20 will get you in, fed, and entertained. 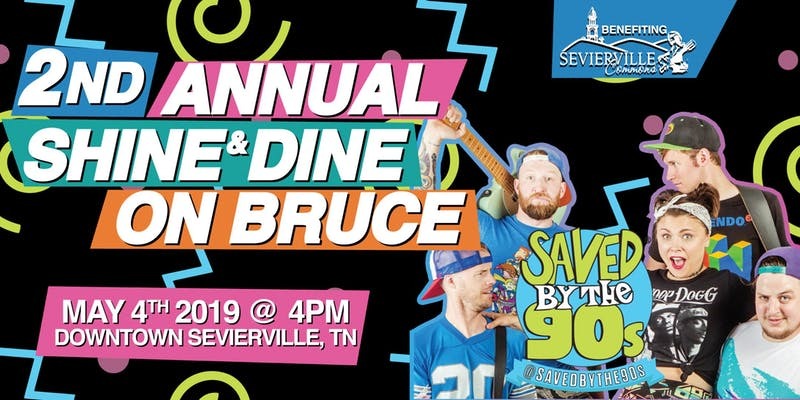 All proceeds go to support events and growth in Downtown Sevierville. A huge thanks goes out to our sponsors for their support in making this event possible.